Photo: Northern Panamint Valley from Saline Valley Road. Eastern Mojave Vegetation Northern Panamint Valley from Saline Valley Road. The dunes are in the left middle ground, with Lake Hill and a dry lake in the center. Telescope Peak of the Panamint Range are in the background. Saline Valley Road: in Nelson Range. 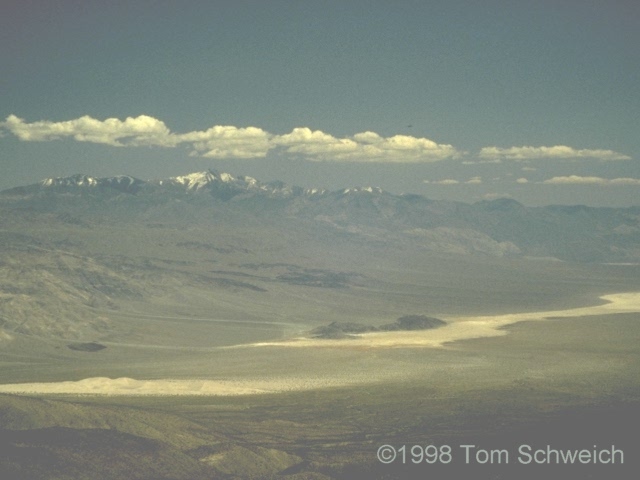 Other photos about Geography - Northern Mojave or Panamint Valley.